When I went to my blog to update it, I was so embarrassed that I hadn’t posted anything since January. I couldn’t help but wonder why! Then I started thinking about what has occurred since then – just the usual. Tapings through April, working on the 36th annual KENW online Auction through July, planning for the next series of Creative Living in terms of selecting topics, writing scripts, taping bridges, etc. 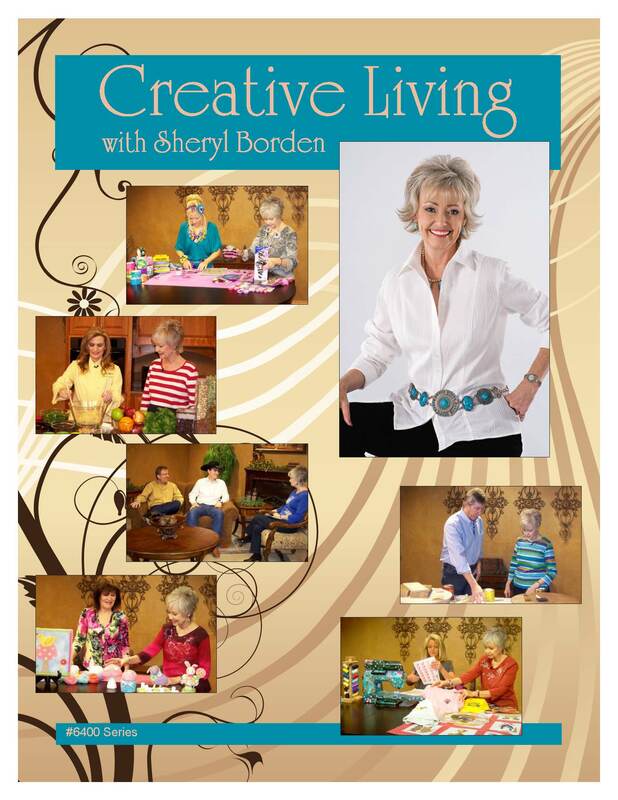 I just completed the new Creative Living booklet that accompanies this new series, and I’m so excited for you to see it. The booklet is divided into four different sections, and I’m going to provide a link so you can go directly to the new booklet (if you’re interested) and download whichever part you want. It’s free! The link to all the booklets for Creative Living is: http://kenw.org/creative-living-booklets. Wanda Newberry designed the booklet cover again for me, and I told her that I always think the newest one is her best yet – but I’ve loved all the ones she’s designed over the years. She is so talented! If you’ve followed the show for long, and looked at all the booklets, let me know which one is your favorite – and I’ll share that with Wanda. Our county fair is in progress and I enjoyed judging the 4-H Open class this year. I love keeping up with what the 4-H members in our county are doing. Probably comes from serving as an Extension Home Economist many years ago and working with the 4-H program as well as the adult homemakers program. I’m making myself a promise that I won’t be so negligent on blogging from now on! As my father-in-law always commented “Time will tell” and how right he was.